JUST REDUCED!!! LOOK NO FURTHER YOUR SEARCH IS OVER! THIS HOME HAS ALL THE LOVE AND STYLE OF A CHIP AND JOANNA GAINES DESIGN. 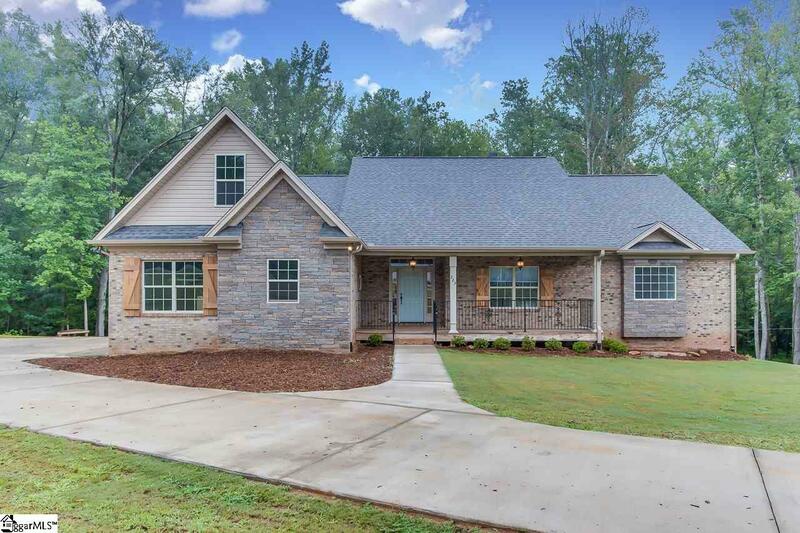 THIS ALL BRICK CUSTOM BUILT HOME IS LESS THEN 2 YEARS OLD AND OFFERS YOU OVER 2 ACRES ON A PRIVATE LOT IN THE HEART OF SIMPSONVILLE. 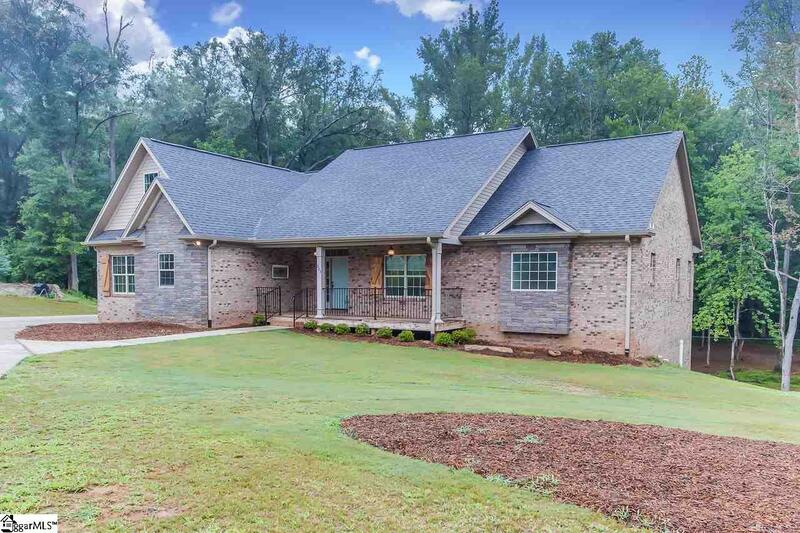 AS YOU ENTER INTO THE HOME FROM THE LARGE COVERED FRONT PORCH YOU WILL BE TAKEN AWAY WITH THE GLEAMING WOOD FLOORS AND THE STUNNING SHIP LAP FOYER WITH A RUSTIC TIN TILED CEILING. THE GREAT ROOM OPENS UP TO THE KITCHEN AND BREAKFAST AREA. THE GREAT ROOM FEATURES A BEAUTIFUL STONE AND SHIP LAP FIRE PLACE WITH A RUSTIC WOOD MANTE, BUILT IN SHELVES, RECESSED LIGHTING AND VAULTED CEILING. THE KITCHEN INCLUDES ALL CUSTOM-BUILT CABINETS WITH STAINLESS STEEL APPLIANCES, GRANITE COUNTER TOPS, AND AN AMAZING FULL SHIP LAP VENT HOOD. THE LARGE ISLAND OFFERS BAR SEATING THAT IS PERFECT FOR ENTERTAINING AND OPEN TO THE BREAKFAST AREA. 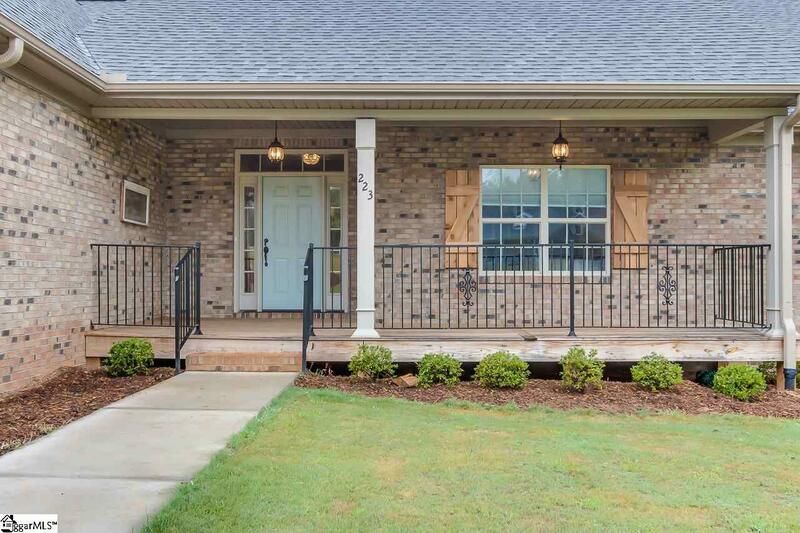 ADJACENT TO THE KITCHEN YOU WILL ENJOY A FULL PANTRY, LAUNDRY ROOM AND SCREENED PORCH PERFECT FOR ALL SEASONS. 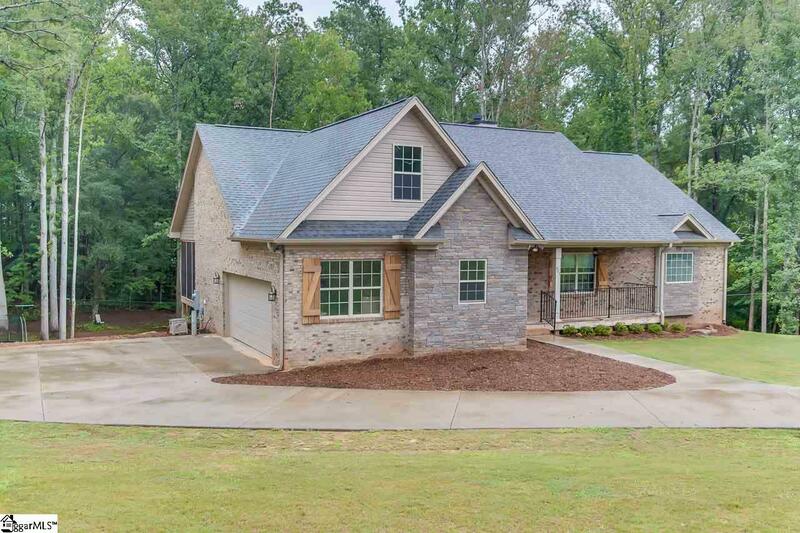 THE MAIN LEVEL HAS A FULL BATHROOM AND ADDITIONAL BEDROOM WITH BEAUTIFUL FRENCH DOORS.THE MASTER SUITE IS ON THE MAIN LEVEL AND OFFERS AN AMAZING VIEW LOOKING OVER THE 2 ACRES. IT FEATURES A TRAY CEILING, LARGE WALK IN CLOSET, LARGE WALK IN SHOWER, JETTED TUB, AND DOUBLE SINKS WITH LARGE FULL MIRRORS. ABOVE THE GARAGE YOU HAVE A FINISHED 20 X 15 BONUS ROOM / POSSIBLE 5TH BEDRROOM WITH A MINI SPLIT UNIT, NEW CARPET AND LOTS OF STORAGE AND CLOSET SPACE. THE LOWER LEVEL HAS 2 ADDITIONAL BEDROOMS EACH WITH THEIR VERY OWN FULL BATHROOMS AND HUGE WALK IN CLOSETS. THE LARGE REC ROOM DOWN STAIRS HAS NEW WOOD LIKE VINYL FLOORING. THE BASEMENT OFFERS A COURT YARD ENTRY INTO THE BACK YARD WITH FRENCH DOORS. THERE IS A 43 X 12 UNFINISHED BASEMENT STORAGE AREA. OUTSIDE YOU WILL ENJOY A LARGE DECK THAT OVER LOOKS THE BACK WOODS AND HAS A SMALL CREEK. YOU CAN SIT BACK AND WATCH THE DEER AND WILD LIFE! DONT MISS OUT ON YOUR CHANCE TO OWN THIS PRIVATE AND AMAZING HOME IN GREENVILLE COUNTY. THIS HOME IS READY FOR YOUR FAMILY TO CALL HOME JUST IN TIME FOR THE UPCOMING FALL SEASON. Listing provided courtesy of Deanna Arce of Keller Williams Grv Upst.